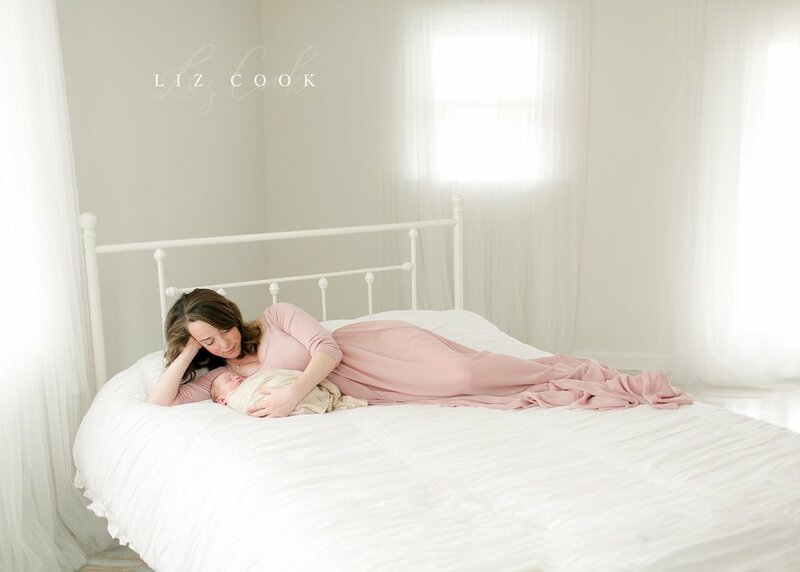 When Linda reached out to me to book a newborn session with me, I was so excited! I knew she had been waiting for this season of life and I was so excited to finally have the opportunity to work with her! 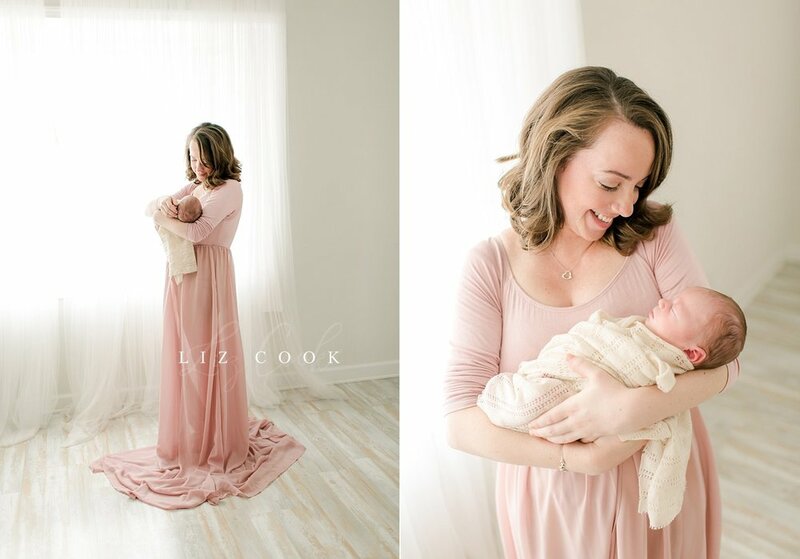 After she secured her session with her retainer fee and contract, she contacted me and asked to add on hair and makeup services as well since she thought she might feel overwhelmed and tired as a brand new mama. (Good thinking, Linda!) Clients can add on hair and makeup services as late as right after their baby has been born, so I was happy to accommodate Linda's request! I sent over the newborn session preparation guide so she'd have all the information she needed to prepare for her session before her baby arrived. My preparation guide has helpful suggestions for all members of the family. Most clients grab a few things from their own wardrobe and bring them along, and either I or our HMU stylist help select the final choices at the studio. I have a portable steamer on hand to help with any wrinkles also, so there is no need to stress out about ironing everything perfectly before you leave your home. 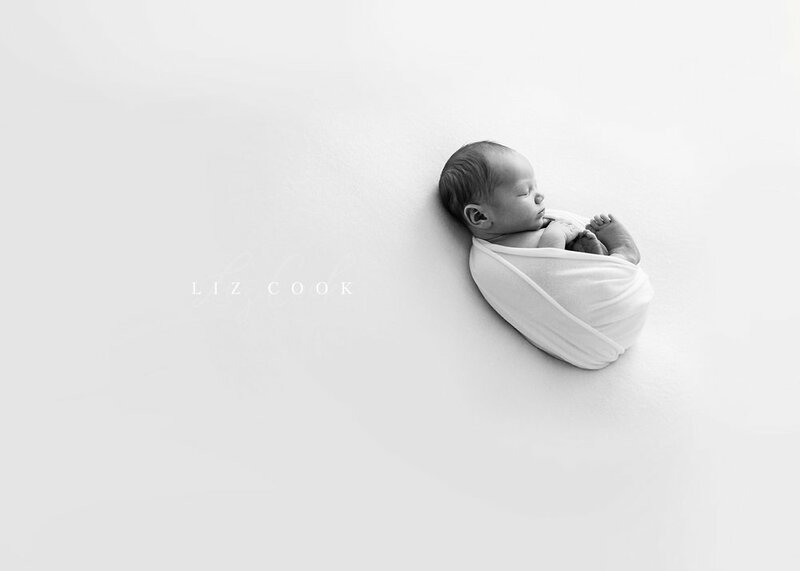 Linda and her husband Andrew drove their newborn baby, Calvin, over two hours to the studio the morning of their session. 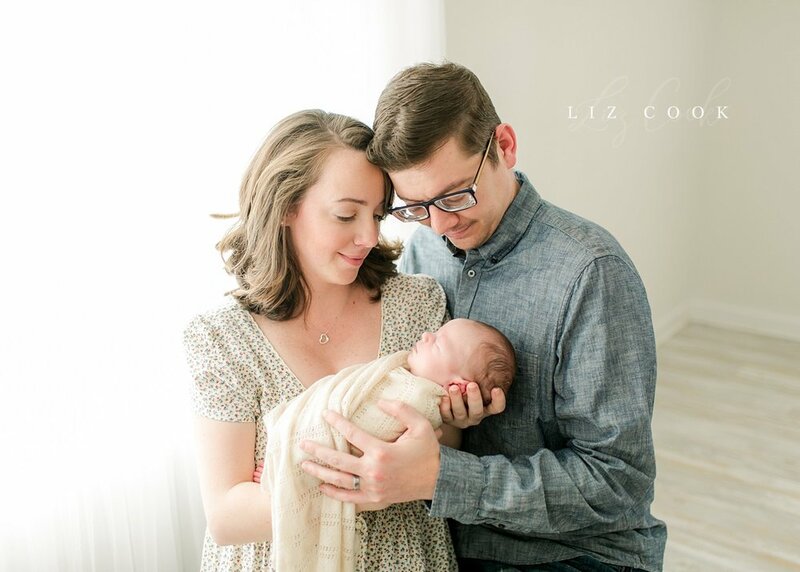 They arrived early and Linda was able to change and then feed baby Calvin before our hair and makeup artist arrived. I am always happy to invite clients into the studio up to twenty minutes before their session so there is time to feed and change their baby if necessary. As soon as Calvin was finished eating, he quickly fell into a deep sleep and I was able to grab a variety of portraits of him alone. While this was happening, Linda took her time looking through the studio wardrobe and she settled on two different dresses with the help of our stylist who had arrived. The scene that unfolded next just made me so happy! Mom began her pampering experience by settling into the hair and makeup chair, baby was sleeping well and being supervised, and dad was able to relax just enough to nod off and get in a quick nap on the couch! Once Linda was dressed and ready, I finished with Calvin's portraits alone so we could begin pictures of the two of them together. We let Andrew continue to sleep while I photographed mama and son portraits. Once those were complete, we gently woke him up to change his clothes and join us for the rest of the session. Calvin just continued to sleep so peacefully and we were able to finish the session up quicker than we expected! Overall, it was a relaxing and calm session that produced some of my favorite recent portraits! Below are a few of my top choices from their gallery of 90+ pictures they received just a few weeks later. 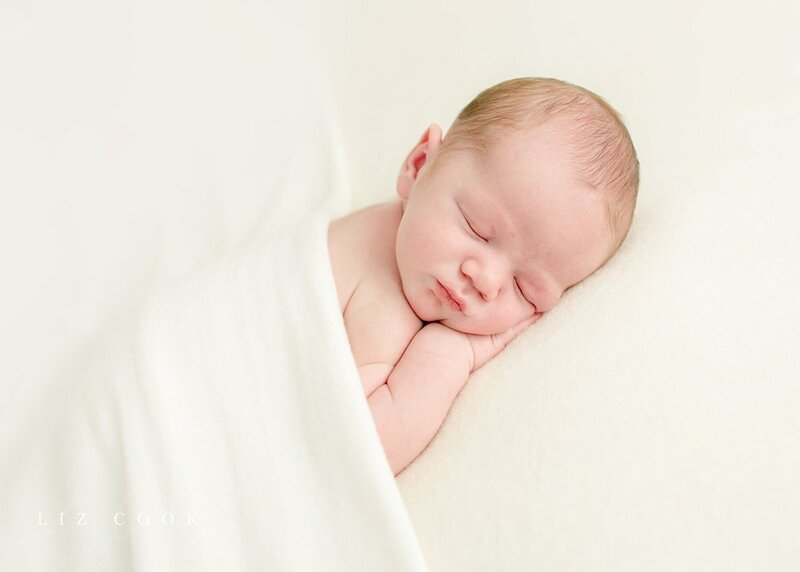 All newborn sessions include the use of the studio wardrobe, a complimentary styling consultation to discuss the look and feel you desire for your session, as well as my exclusive client preparation guide. On site hair and make-up services are also available with our stylist so that you feel relaxed, confident and beautiful at your session. 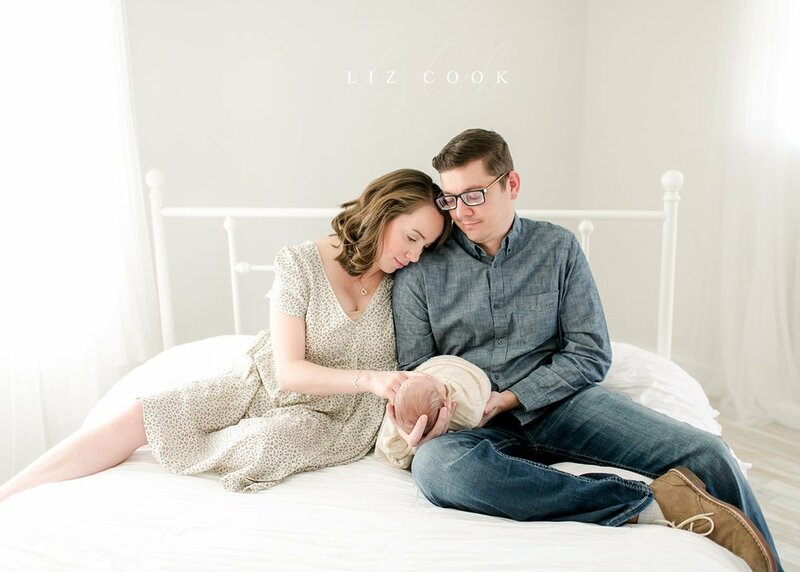 I make the process of preparing for your session simple and seamless, so you can focus on your first priority, taking care of your newborn baby. Contact me today to reserve your session.